Since joining AMTC in 2010, William has provided expertise and technical assistance as a project liaison to launch and implement nine Department of Labor projects in the areas of workforce development and offender reentry. He has more than 35 years of experience in nonprofit capacity building, workforce development, weatherization, energy conservation and youth programs in the City of Milwaukee. His vast experience in the Milwaukee community opened opportunities to work extensively with leadership of local nonprofit organizations to develop services to meet the needs of the entire family. As the former executive vice-president and chief operations officer of Opportunities Industrialization Center of Greater Milwaukee (OIC-GM), the largest welfare reform program in the State of Wisconsin, William managed operations in the areas of program development and procedures, diligently coordinated agency planning and resource development and advocated for the funding of employment and training programs via federal, state, county and private organizations. Under his leadership, OIC-GM increased its weatherization by over $8 million. 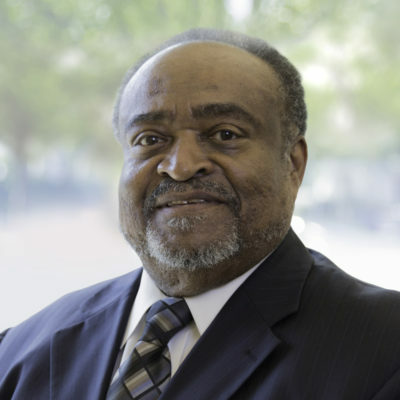 William also served as the chief of staff to the chancellor at North Carolina A&T University in Greensboro where he sat on the chancellor’s cabinet, coordinated and managed all budgets within the chancellor’s office and organized internal reports on sustainability energy conservation and green technology. Prior to this role, he worked as the director of economic development and community programs for Milwaukee Area Technical College and advised the president on community, economic development and employment issues; identified training and marketing opportunities; developed a training model for working with disadvantaged communities in technical skill areas and worked with various foundations to leverage additional government funding. His professional experience also includes working as an administrator and director for the Social Development Commission and also as an administrator of Energy and Youth Programs where he planned, organized and managed a new Division of Energy that provided services in energy assistance, energy education, home weatherization and crisis intervention to clients in Milwaukee County. William previously served on the Energy Center of Wisconsin Advisory Committee, Wisconsin Public Service Commission Low Income Energy Group, Governor’s Task Force on Public Benefits, Community Services Administration and UWM Helen Bader Leadership Institute Executive Committee. He received a bachelor’s degree in Education from the University of Wisconsin-Milwaukee.